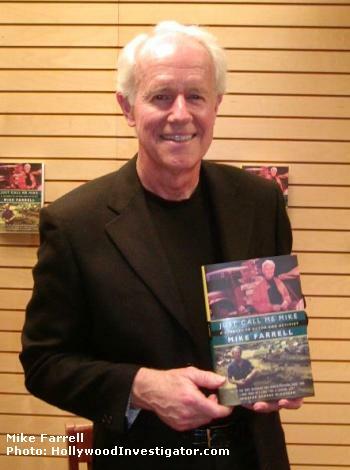 [HollywoodInvestigator.com] He's known as a star of MASH and Providence, and as a political activist, but Mike Farrell prefers for everyone to "Just Call Me Mike" -- the title of his new autobiography. The reason for that title was one of the topics Farrell discussed at the Santa Monica Barnes & Noble on Friday, March 23. "I don't want to be called a Communist, as I've been called," explained Farrell. "I don't want to be called a left-winger. I don't want to be called a red-stater or a blue-stater. Not because I'm not some of those things, but because I think that labeling cuts off communication. "When I do an interview for television or radio and somebody says, What do I call you? Actor? An activist? I say, Why don't you just call me Mike? "Just calling me Mike allows me and you to talk. We might agree or disagree, but at least you don't assume you know everything about me and my positions, and I don't assume the same about you." Yet it's a safe guess that the several dozen people who turned out for Farrell's book-signing know him mostly for his acting or activism. Which is partially why his book is largely an autobiography of his activism. 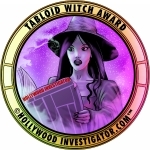 "I was reluctant to do this book," said Farrell. 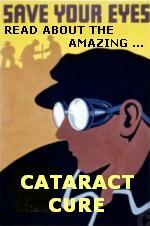 "Celebrity books often are such self-puffery, they make me a little nauseous. The idea of being part of something that is perceived to be, or is, another tome from some self-inflated person who thinks he knows something wasn't something that I thought I'd get involved in. "[But] a friend of mine who is associated with the publisher said to me, Write a book about your activism. I said, I can't write a book about activism. What will I do, write a manual? But I can write about this guy who came from a certain place, that was a springboard that moved him in a certain direction. He had these experiences, and they conflated and came together to create this life [of activism]." One of Farrell's life-changing experiences was in the Marine Corps. "I had a buddy. We went out on liberty together. When we came back, there was tension in the unit. I couldn't figure it out. I finally realized it was because he was black and I was white. The unit didn't think blacks and whites should be pals, going out socially together." After leaving the Marines, Farrell had a job that took him through the South. "I saw white-only drinking fountains, and white-only restrooms, and things that I thought were historic anachronisms, yet were a part of the United States in the 1950s. I was offended by that. I thought had my friend Tyus been with me, he couldn't have been with me. We couldn't go to the same places together. Those kinds of things helped educate me to be somebody that stood up and said, what a minute, this isn't right." Those experiences culminated in Just Call Me Mike. "As reluctant as I was to get into it, I loved doing the research, thinking back about my family, how it all came about and where I got to. And now the thing that I didn't want to do, a self-important book by somebody who thinks he has something to say ... is this one. And as far as the self- importance is concerned, I apologize." During the Q&A session, the first question came from the Hollywood Investigator, which asked Farrell for his take on the war in Iraq, the tensions with Iran, and the Democratic Congress's response to the Bush administration's war policies. "I despise what's going on in Iraq," said Farrell. "We were wrong to go to war in Iraq. We have no business being there. Our troops are an incendiary factor in a volatile situation, and they are being therefore abused and misused. We ought to get them out as quickly as we can. "In terms of Iran, I think there are certain assumptions being made, most of them by the same people that made the justification for going to war in Iraq. Ahmadinejad is a man who speaks his mind clearly, and his mind is a little warped from what I can tell. But he doesn't control the military. He is not in control of the country. The election there repudiated many of his positions and him. I don't think we are at risk from Iran. I don't think we ought to be considering invading Iran. We ought to be opening up diplomatic relationships, or at least discussions, call it what you like. It's stupid for people to not be talking to one another. The Bush administration's policy seems to me to make no sense at all with regard to Iran. "I read recently there was an opening from Syria to Israel, [with Syria] saying we have mutual needs and mutual concerns that we should discuss. Condoleezza Rice said to the Israelis, you should not talk to Syria. I don't get that. I'm not sure I follow what the logical train is. I am rather fearful that I understand the intention behind all this. More ratcheting up, more confrontationalism, more brinksmanship, and the kind of thing that can provoke military action. I think it serves no purpose at all. "Is the Democratic Party doing enough? The party is in a tough spot. Everybody within it doesn't agree. This administration has moved things along so far that, given the nature of the democratic process, and particularly the way Congress works, it's gonna take some time to move the increments back to what I would like to see. "While what I would like is for them to say: Cut off the funding for the war now. Bring the troops home now. Let's get the hell out of there and let those people solve their own problems -- that's not something that we can expect to come out of Congress. "Some elements of the Democratic Party are doing a very good job. A big step was made when they included a cutoff date for troops to start coming back [in March 23's House bill]." Farrell has long opposed capital punishment, and an audience member asked for his prognosis on the issue. "The death penalty is on the way to being abolished right now," Farrell answered, citing events in California, New York, Florida, New Jersey, Maryland, and Montana. "In Texas we have a long, long way to go, unfortunately." He added that while 85% of Americans favored capital punishment 10 or 15 years ago, a recent Gallup poll says that most Americans prefer life without parole over the death penalty. "That's the first time in 40 years that that's happened, so that's a sign that [capital punishment] is on the way out. It can't happen soon enough." Farrell also regaled the audience with tales and jokes about his days on MASH and Providence. He's still actively seeking roles, but allowed that, at 68, he's reached "a certain age" for which not many good roles are written. Farrell cited Good Night and Good Luck as a favorite film. "Motion pictures that say something, help up understand our history and where we're failing today, are great things. I don't watch much TV. I'm appalled by so-called reality television, that is really about how much are you willing to humiliate yourself to get your 15 minutes of fame. Unfortunately it teaches people that fame is the important goal. And/or wealth. Too many people buy into that concept in this country. Which is very sad." Despite the Iraq war and reality TV, Farrell is optimistic about America's future. "The fundamental principles of this country make me very proud. The dishonoring of them by various leaders makes me very angry. This country is the greatest and most powerful in the history of the world. We have a big obligation to live up to our own principles, and in so doing provide a beacon of hope to the world. Not go out and tell people how to fix things, as we are wont to do, but demonstrate through our own behavior the possibility that is in us as human beings. That is the real value of this nation, and one we fail by the kind of cowboy mentality that's obvious today. "But I'm optimistic. We have a self-correcting mechanism, demonstrated [by] the last election. People finally said, we don't want to be lied to. We don't want to have our country's values trashed. We don't want to become the laughing stock of the world. We don't want to be killing people unnecessarily and inappropriately who haven't done anything to us. "People in this country are divided in lots of ways, but one thing they are more than anything else is fair. If you give them the information, generally speaking, people will respond appropriately to it. They may have different ideas about how you solve the problems, but an understanding of the problem creates hope. I find inspiration and hope everywhere I go." 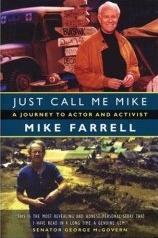 For more about Mike Farrell's life philosophy and political activism, read Just Call Me Mike.